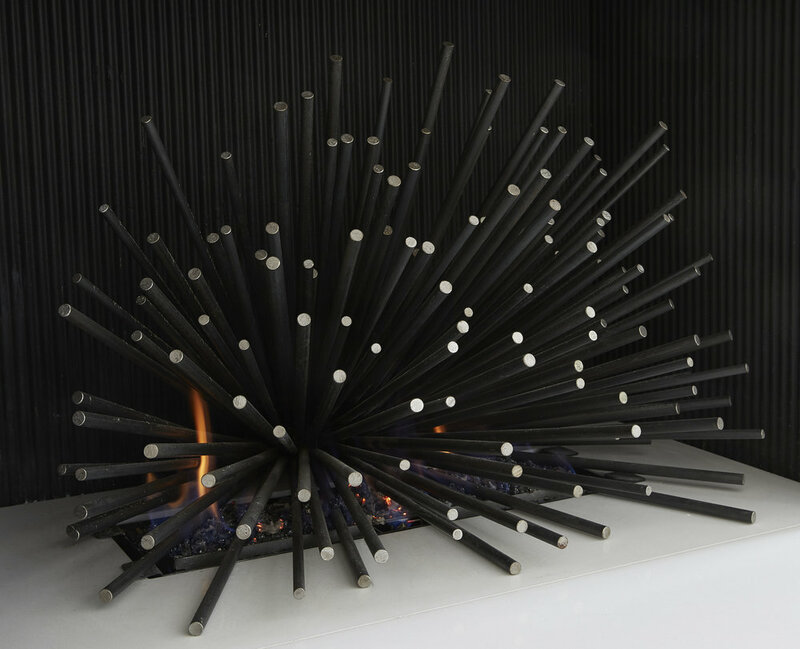 Urchin is a dramatic and distinctive Fire Sculpture inspired by the explosive energy that radiates from the core of our own most powerful and primal heat source, the sun. 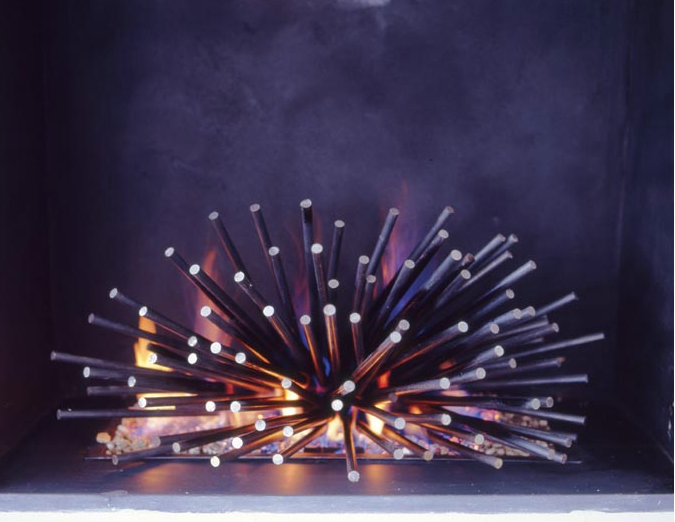 Like all of Cathy Azria’s fire sculptures, each Urchin is unique, hand-made, signed and numbered; designed specifically for its location and in consultation with the client. After a few months, a patina develops from the natural oxidation process of the flames on the steel, adding further to the absolute individuality of each setting.